Top Image: This chinook was caught this week off the Hump and had herring and a stickleback in its stomach. Well it is officially Hump season, but the fish don’t seem to know that. In checking with our journals and fellow guides, it is well documented that the fishing off South Bowen on the Hump usually turns on around April 10 to 15. Some seasons as early as April 4 and some as late as April 22. So far the fishing has been pretty slow so it looks like it might be a little later start this year. Don’t forget it can change in a hurry from slow to red hot, so hopefully that happens this weekend as we have multiple trips booked. There have been a few fish taken and as usual for this time of year on the Hump the best depths have been 90-120. The fishing are feeding on a mix of bait from small immature herring, to large mature herring, and even stickleback. We see this every year, so a combination of bait and spoons seems to work well. There have been a few fish up Howe Sound as well. This is normal for this time of year as there are still some feeder chinook cruising these waters. 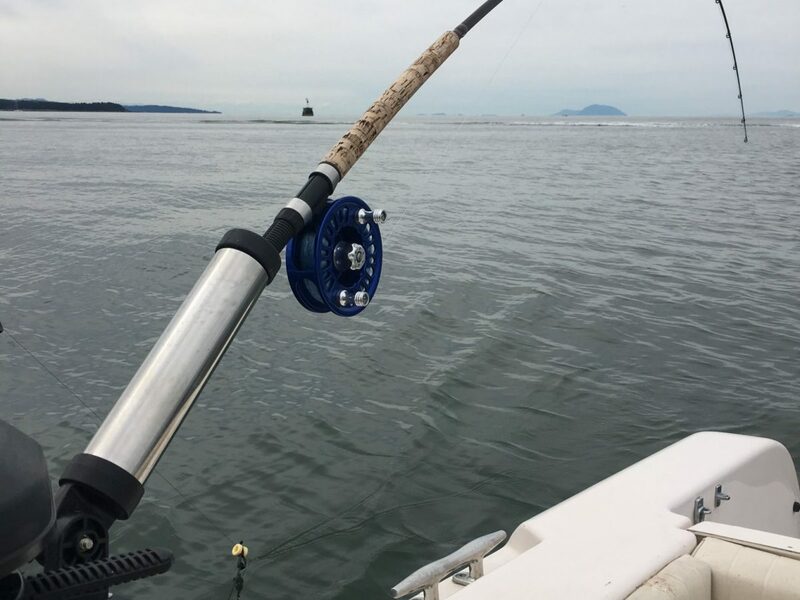 We usually prefer to fish the Hump this time of year but Howe Sound can be a good back up plan if the winds are too strong to get out on the Hump. We have also heard of the first few fish in the Nanaimo area. We usually start to head over to Thrasher and Nanaimo around mid May as the Hump is usually very good from April 15 to May 21 so there is no need to run across. We will see how the season progresses, but for now you are likely to have just as productive fishing in our local waters as it is a touch to early to be heading over to the other side. 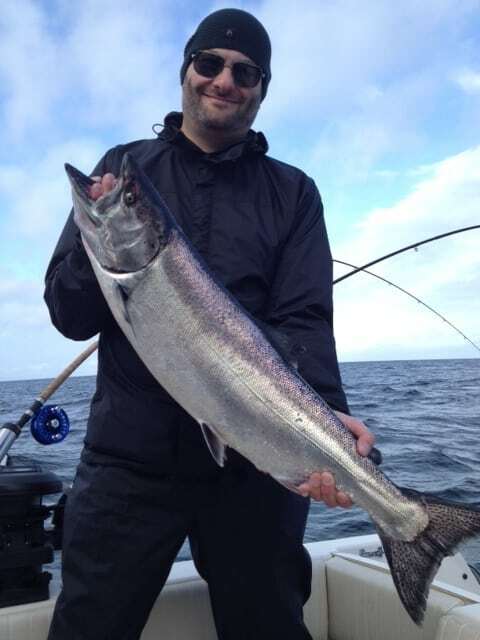 I know of two other guides who hit coho this week as well. Some were hatchery and some were wild. These are small fish around 1 to 3 pounds are most likely Capilano fish. This is pretty normal as we usually start to run into the odd one while we are fishing for chinook out on the Hump. If you are thinking about booking a trip to the Hump or to Thrasher you want to book now! The best fishing is going to be in the next 4-6 weeks. A lot people wait for the hot reports and then they book a trip in late June but they have missed some of the best fishing that we will have in late April and all of May. Call Jason at 778-788-8582 to book your trip.